Here are two felt boards I whipped together for Halloween. I'm really happy with this bat one. 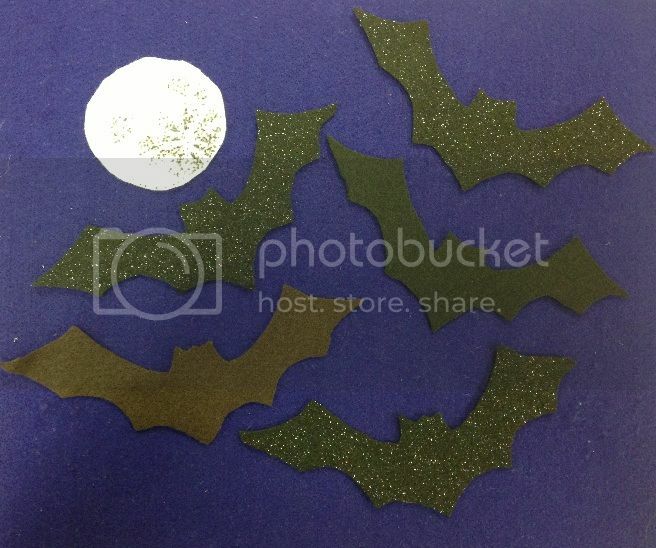 The kids loved the sparkles on some of the bats. The first one did not make a sound. The second one said, "I'll fly far tonight"
The third one said, "I don't like sunlight"
The fourth one said, "I want to eat some bugs"
The fifth one said, "I want some hugs"
Shhhh! It's daytime, don't make a sound! 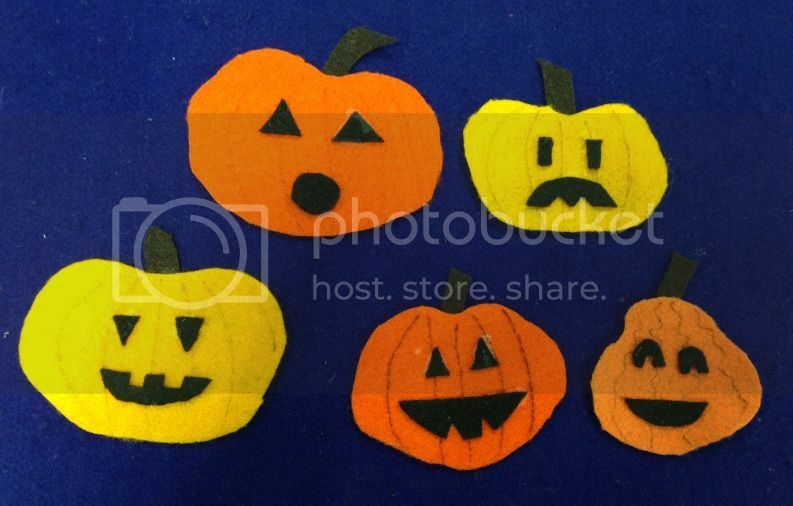 This pumpkin felt board was popular as well, even though it's not quite as cute as I hoped. Maybe I'll re-do it by next year. The second one said, "There are ghosts in the air." The third one said, "We don't care!" The fourth one said, "Let's run and run."